In the past 40 years, nearly 20% of the Amazon rainforest has been destroyed—and scientists worry that an additional 20% could be lost over the next 20 years. 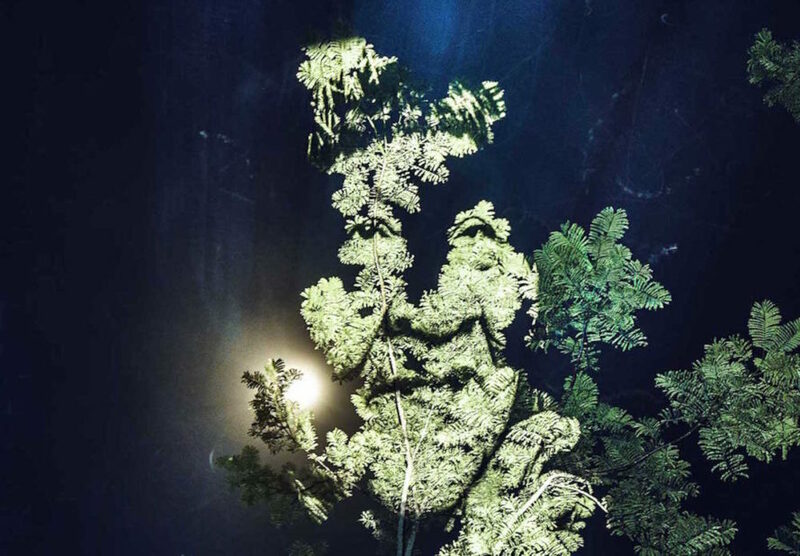 In a bid to raise awareness of deforestation, French photographer and street artist Philippe Echaroux captured moving portraits of indigenous Brazilians and projected the images onto Amazonian trees. The project, titled “The Crying Forest,” draws attention to the native Suruí tribe directly impacted by massive deforestation. In spring 2016, Surui Chief Almir Surui Narayamoga invited Echaroux to his village, where the street artist photographed the natives for “The Crying Forest” project. 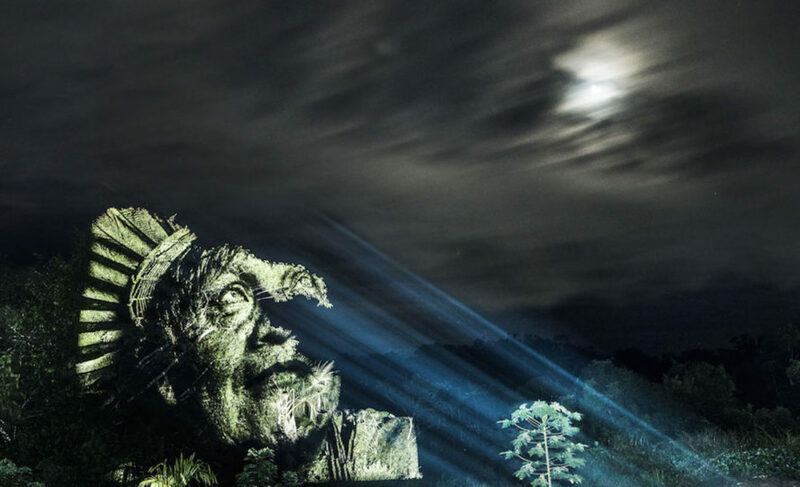 The faces are enlarged and carefully projected over the trees to create a seamless and striking composition. The installation was created to help the Surui people raise awareness of the dangers of massive deforestation and the impact it has on the ecosystem and their lives. Chief Narayamoga was appointed by the Brazilian government to help replant and protect his tribe’s section of the rainforest. Over 300 truckloads worth of illegally logged trees are estimated to leave the Surui area everyday. “Victims of massive deforestation and gold washers who did not hesitate to violate the Surui’s territory to seize deposits of precious stones, the Surui people want to raise awareness of this horrible and greedy slaughter that endangers a territory and its people,” Echaroux says. “The Crying Forest” photographs will be on display at the Taglialatella gallery in Paris from November 10th through December 15th, 2016. In spring 2016, Surui Chief Almir Surui Narayamoga invited Echaroux to his village, where the street artist photographed the natives for “The Blood Forest” project. The faces are enlarged and carefully projected over the trees to create a seamless and striking composition. The installation was created to help the Surui people raise awareness of the dangers of massive deforestation and the impact it has on the ecosystem and their lives. Chief Narayamoga was appointed by the Brazilian government to help replant and protect his tribe’s section of the rainforest. Over 300 truckloads worth of illegally logged trees are estimated to leave the Surui area everyday.
. “Victims of massive deforestation and gold washers who did not hesitate to violate the Surui’s territory to seize deposits of precious stones, the Surui people want to raise awareness of this horrible and greedy slaughter that endangers a territory and its people,” Echaroux says.